Welcome to the first Club Chat for 2018. What a great summer of athletics it has been so far. The Athletics NZ Community team has been out and about for the last few months visiting regions and clubs, running workshops and events and generally getting amongst all things athletics. 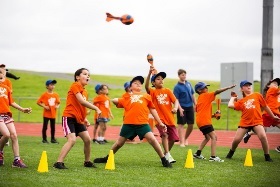 In this issue read about the new Run Jump Throw programme, a great kiwi sport project happening in Waikato, and an update around membership and registrations. 2017 was a full and exciting year at Athletics NZ and we are looking forward to another great year ahead. We want to say a huge thank you to all the amazing volunteers out there in clubs and regions. You all do such an amazing job in delivering athletics to your communities. Keep up the awesome work … it is greatly appreciated. Good luck to all those competing over the next few months we hope you have a blast! The philosophy behind both these programmes is to offer opportunities that are developmentally appropriate and to meet the needs of all children through games and activities. We focus on a participant-focused approach and give clubs strategies and examples of delivering fun and enjoyable experiences in Athletics. We are excited to announce that in 2018 we will also be launching a new website full of Get Set Go and Run Jump Throw information and resources for schools and clubs. Watch this space! This resource comprises of the main philosophies (or why) behind the Run Jump Throw approach, the technical skill progression for each athletics skill and some modified competition models (including Team Athletics, RJT Pentathlon and Cross Country). 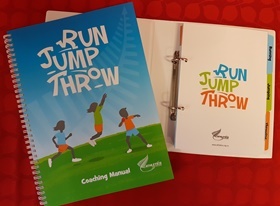 This resource comprises of more than 65 games and activities designed to help implement a fun and engaging Run Jump Throw programme that meets the needs of all participants. The combo deal also will include an access code to the online ‘Learning Hub’ when it is up and running at the start of 2018. We are offering all affiliated athletics clubs a significant discount on these resources. Please use the codes below. In the online shop select your item, enter the discount code and press “Submit” (this is easy to miss) before “Continue to Check Out”. Planning a journey to an event soon or maybe a holiday? Does your club have rental vans sorted for upcoming events and championships yet? 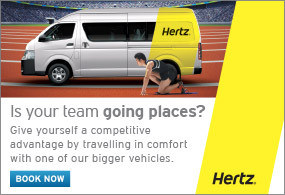 Remember that Athletics New Zealand members receive a 15% discount on Hertz Rentals. 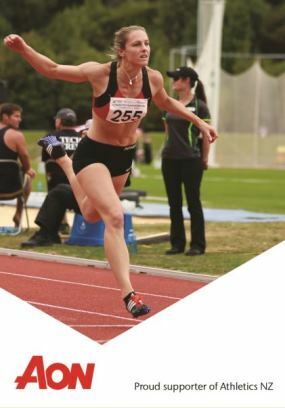 New Zealand’s leading provider of insurance broking and risk management is committed to ensuring nothing gets in the way of athletes achieving their goals. Through their professional service, Aon places personal, business and rural insurance to protect your assets and safeguard liabilities. Get first aid training from New Zealand Red Cross at special Athletics NZ member prices for individual and group bookings. Louise Young and Adelaide Roper delivered the after school club to 45 children between the ages of 5 – 7 years old. Well done to Te Aroha Athletics Club for getting on board and supporting the Get Set Go and Run Jump Throw programmes in your club. 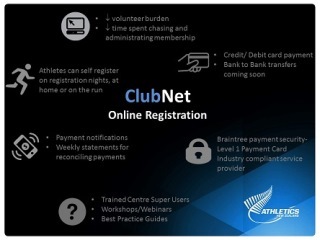 Here are some of the benefits for clubs and members moving to online registrations club. There are a few key dates for club registrars and membership administrators to be aware of for the coming change of year. There are also some new best practice guides available on the ClubNet page of our website- Members registration help, Event help and Shop help. As we move towards the end of the track and field season, it is recommended to do a spring clean of ClubNet, including your membership records. Merge any duplicate records and update any incorrect email address to help make the transition to online registrations as smooth as possible for your club and members. Have you “liked” the Athletics NZ Coaching Facebook page? We are frequently posting a range of articles, blogs and links relevant for coaches, parents and athletes. Join our community! 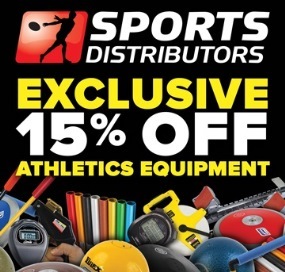 To show their commitment to athletics, Sports Distributors are offering all Athletics New Zealand members 15% OFF selected athletics gear! 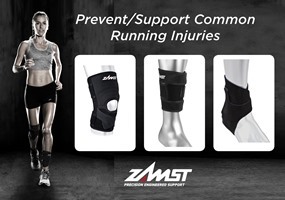 Simply insert the promo code: ATHNZ15 when you are checking out. Executive Travel offers a personalised service delivered 24/7 utilising state-of-art technology with traveller safety always top of mind. We employ the best in the business with the expertise and knowledge to cover all your travel needs from start to finish and back. Athletics NZ members receive contracted discounts on applicable published airfares on Air New Zealand when attending events or conferences endorsed by Athletics NZ.